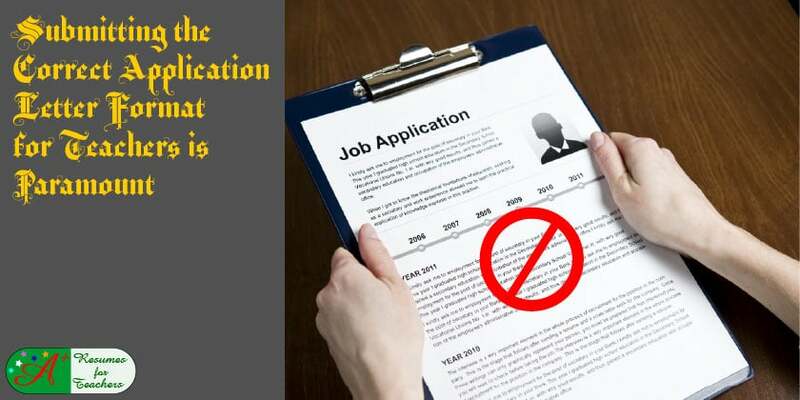 One of the key aspects of advancing your job application is using the right application letter format for teachers or other educators. An academic application letter, also known as a cover letter or letter of introduction, introduces the reader to you. It gives them either an excellent first impression or a mediocre or a bad one. If you do not know how to develop a proper application letter, you will surely provide the reader with a negative first impression. Result – you will likely kiss your chances of a teaching job interview goodbye! 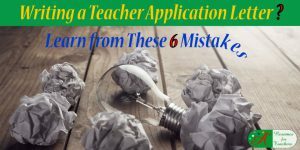 The most appropriate application letter format for teachers is a targeted letter. You want to understand your audience, grab their attention, and appeal to their needs. Your teacher focused cover letter gives them the chance to know what a school district will be missing if they don’t give you an academic job interview – at the very least! The first thing you need to do before you begin writing a targeted teacher application letter is to research the school district. 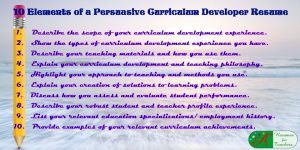 Once you have cultivated a better understanding of the school or district to which you are applying, you can then format an application letter that appeals to their unique goals and needs. For instance, if you are looking for a school that has a high rate of ESL students, you will want to mention any additional languages you speak, multicultural and international travel experience, language instruction skills, ability to differentiate instruction, and so forth. On the other hand, perhaps you are applying for teaching jobs at a Title I school. Your application letter should demonstrate your ability to reach out to all types of students, work with the community, and raise funds to help improve the school. Your academic application letter should demonstrate your ability to reach out to all types of students, work with the community, and raise funds to help improve the school. Incorporating the school’s mission statement, or giving a nod to it, is a sure way to land your resume in the “to read” pile. By including or discussing the mission statement, you are showing the reader you understand what the school is all about, and you are eager to promote it. Educational administrators want to know they are hiring teachers who are like-minded, will be a good fit, and will work hard to achieve the same results they are. 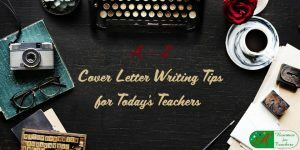 Another aspect to consider when integrating your application letter format for teachers is industry or job title keywords. Buzzwords are terms that are popular, currently relevant, and looked for by hiring administrators. These keywords should be incorporated correctly into both your educator application letter and resume. 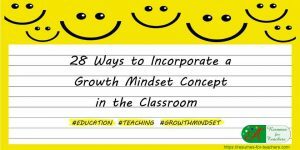 Some examples of academic trending words are growth mindset, digital leadership, reflective teaching, digital learning, blended learning, differentiated instruction, interactive classroom, and student-guided learning. 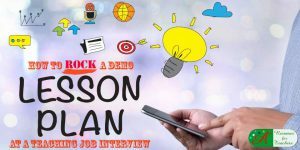 Initially, the letter of introduction and resume may be sent through the applicant tracking system ATS before a hiring authority picks it up. 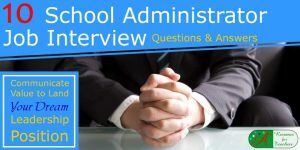 When it lands on someone’s desk, the recipient may simply scan job application documents looking for one or more of these terms; if they aren’t included, you may be passed over for another teacher candidate. Have a correctly formatted application letter ready to apply for a teaching position immediately. There may be times when using a targeted application letter format for teachers isn’t practical. What if you have just been made aware of a great academic job opportunity? The only catch is, the post for the teaching job closes in a few short hours. You may not have time to do the in-depth research you should. 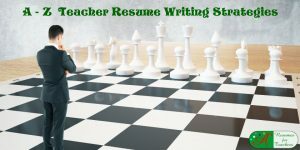 Rather than risk not getting your application in, you can submit a generic cover letter that is unique to your background, core competencies, and education accomplishments. This is the only time a generic or non-targeted application letter would be better than a focused one. This is the only time a generic or non-targeted application letter would be better than a focused one. I don’t like the term “generic” for an academic cover letter because it shouldn’t be boring, you need to write your application letter to show your passion, personality, and authenticity. Therefore, it is a good idea to have one already developed and on hand, ready to use at a moment’s notice. 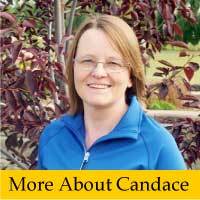 An untargeted letter will likely be shorter than your targeted letter; will incorporate the school district’s name, but not their unique goals and needs, and probably won’t play to their mission statement or motto. 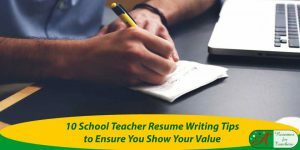 When developing a top-notch teacher application letter to submit at a moments notice, you should focus on your most outstanding talents and skills that could be applied to any teaching position/school district. 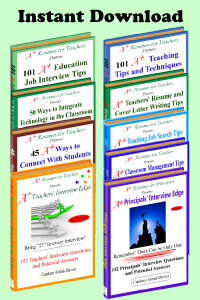 You can review these excerpts from sample cover letters for teacher positions. * Collaboration with students, peers, administrators, and parents. In addition to your strengths, make sure your application letter, whether targeted or generic, highlights your academic credentials (i.e. Bachelor’s Degree, Master’s Degree), teaching certifications or licenses, relevant core competencies, and commitment to student education and the legacy you wish to create in the school community. Include your name and updated contact information (address, phone number, email, LinkedIn page) at the top of your document to match your resume. Finally, make sure you proofread your academic application letter more than once.